Indian and Indian-origin kids are taking the world by storm. Some are working at the grassroots level for welfare of the underprivileged, while some are designing models of human settlement in space or under water. Of late, a 7-year-old girl of Indian descent from USA caught the media attention for her green drive in India. Isha Blokhra from the New Jersey Indian American community took a flight from USA to India for a cause just like New York Indian Ravinder Bansal started his solo flight across 18 countries to raise $750,000 for a cancer hospital in India. Unlike kids of her age, Isha travelled all the way to India from New Jersey not just for a vacation in her father’s hometown but for an inspirational deed. Considering her age, 7-year-old Isha Blokhra from New Jersey seems too young to understand the consequences of global warming and the importance of tree plantation. Just one lesson in the classroom made her grow enough to realize how significant a role trees play in sustainability of the earth and the survival of human lives. The lesson, “One tree gives oxygen to six people for life,” is the driving force behind her mission in India. Inspired by the lesson, the Indian American girl gave a most precious gift to her father on his birthday. The gift was not a materialistic thing to treasure but a million-dollar idea to cherish. On being asked what her father should do on his birthday, Isha Blokhra advised him to thank the earth and benefit the mankind by planting a tree. Not only her father but also other family members decided to thank the planet on their birthdays. It all started from India in June when the New Jersey girl Isha Blokhra, along with her parents, visited India to celebrate her grandparents’ 50th wedding anniversary. Hence she initiated the tree plantation drive in her father’s hometown. While inviting their native friends, relatives and neighbors to join the drive, her parents caught up with eminent singer Daler Mehndi on Facebook. 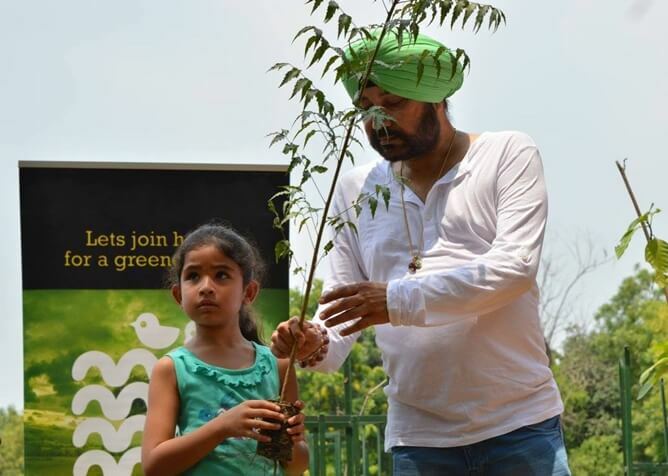 Singer Daler Mehndi’s NGO, the Daler Mehndi Green Drive, which was recognized by the Chief Minister of Delhi, has planted more than 800,000 trees in the Delhi NCR region since its inception in 1998. 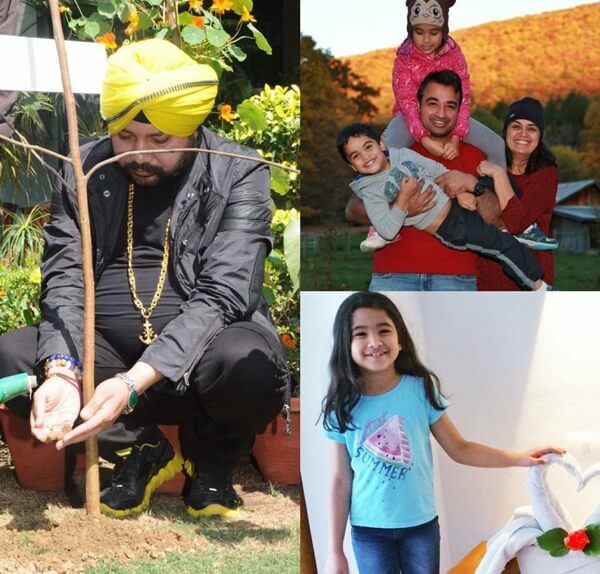 Inspired by the way the Daler Mehndi Green Drive advocates the joy of giving back to Mother Earth; 7-year-old Isha Blokhra joined the NGO. On his first meeting with Isha Blokhra, Daler Mehndi asked her why made her love trees. She innocently replied, “Because they give oxygen.” Touched by the little Indian American girl’s knowledge at such a tender age, Daler Mehndi launched a new campaign, IDO – The Isha Daler Oxygenate Drive in Delhi NCR. They decided on the first goal of the Isha Daler Oxygenate Drive to plant 750 trees in three months. We at Indian Eagle, a trusted travel partner of Indians in USA for booking their flights to India from US cities, invite young Indians to share their achievements / innovations with us and get published on our Indian Diaspora portal, Travel Beats. Our email ID: share@blogbox.indianeagle.com.